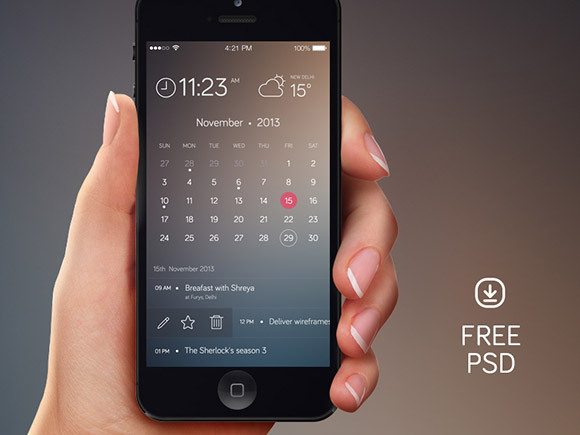 Have a good day with the amazing iPhone Calendar Design Concept PSD we bring you today! It’s designed by sumit chakraborty, including clock and weather widget. Check it out and add to your freebies collection today just a click!